Have you ever read fairy tales by the Grimm Brothers? Set off on an exploration of top the Black Forest region attractions, including Triberg and Titisee. See the gorgeous Rhine Valley as well as the main unmissable sights Frankfurt, Heidelberg, and Freiburg, which you enjoy with private guides. Traverse the top attractions of Mainz and Wiesbaden during a day trip. To top it off, this private Germany itinerary can be fully customizable to your interests, includes best hotels and convenient arrival/departures from Frankfurt. Welcome to Frankfurt, an international financial and trade fair city, which has a lot to offer its visitors! Upon arrival your driver meets you at the airport and transfers you to your centrally located hotel for check-in. Following breakfast, you meet your private guide and embark on a comprehensive city tour around the main sights of Frankfurt - the city which is a motherland of writer Johann Wolfgang von Goethe, large German metropolis and a major European financial hub. Frankfurt's city center is best explored on foot, while walking along its cobblestone squares and alleys. You take a stroll in the old town, called Altstadt in German, which is home to the old Römerberg Square, city hall, gothic Old St Nicholas Church, the Goethe House and many other historical sights. You also explore the Zeil, Frankfurt’s premier pedestrian promenade that ranks among Germany’s most profitable shopping streets, as well as a modern banking district. After the tour you return to the hotel and have the rest of the day free. ➤ Firebird recommends: Dont miss a chance to try Frankfurter Würstchen - popular sausages in one of the local taverns. After breakfast and check-out, meet your driver-guide and head for Wiesbaden, an exciting city with a historic background and the state capital of Hesse region. Upon arrival, you visit St Elizabeth's Church known as the "Greek Chapel" and marvel at Biebrich Schloss, a superb Baroque palace. You also head up the 245-meter high (804 ft) Neroberg mountain aboard a rack railway called Neroberg Mountain Railway* (Nerobergbahn) to enjoy panoramic views of the city. Your continue to the magnificent city of Mainz to learn about its rich history. During the tour, you explore the city's main attraction - the 1000-year-old Roman Catholic cathedral. 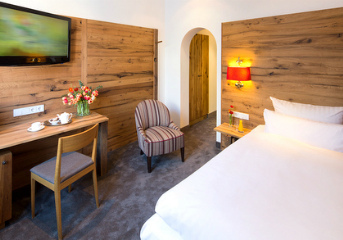 Following the tour, you are taken to your hotel in Heidelberg for check-in and have the evening at leisure. ➤ Firebird recommends: Take a cruise along the romantic and quiet Neckar Valley and discover the beauty of the Castle Road. Please note: the Neroberg Mountain Railway operates from March 24 to October 30. After breakfast at your hotel, meet your private guide in the lobby and enjoy a wonderful 4-hour walking old town or Altstadt tour and explore the university town of Heidelberg, with its historic and romantic appeal. The old town of Heidelberg has a typical atmosphere of the German old quarters: squares where the locals socialise, cobblestone streets with bar terraces, and of course the marketplace, or the Marktplatz. You get a chance to step inside the Studentenkarzer, the old Students' Prison, and hear interesting stories of how the students ended up here. You see the Old Bridge and admire the Church of the Holy Spirit, Heidelberg's main church. After the pleasant walk through the Old Town, you board a historic funicular to reach the top of the hill where you find Schloss Heidelberg, the Heidelberg Castle, which is considered to be one of the most important ruins in Germany. These extraordinary Renaissance ruins, that inspired Germany’s Romantics, used to be the former seat of Heidelberg’s Prince Electors. In the Castle you will also have a chance to visit the German Apothecary Museum and see the Great Tun, the biggest wine barrel in the world, that was able to hold 221,726 liters (or 58,578 gallons) of wine. After the tour, you take the funicular back down to the Old Town and return to your hotel. You have the afternoon and evening at leisure and can continue exploring Heidelberg on your own, or join one of our optional tours. After breakfast and check-out, meet your private driver-guide in the lobby and embark on a full-day tour of the Black Forest. Together with your driver-guide, you explore the character of the region, that was the setting for Grimm Brothers’ fairy tales. During the full day journey through the Black Forest, you see the beautiful Mummelsee Lake, can opt for a hike to the Hornisgrinde, the highest point in the Northern Black Forest, try local wine of the famous Baden wine region, and visit the town of Triberg, home to the biggest cuckoo clock in the world and the biggest waterfall in Germany. Following the tour, you arrive in a resort village of the Black Forest - Hinterzarten, located near the lake Titisee for the overnight. The rest of the evening is at your leisure and you can take advantage of the complimentary entrance to the spa zone of the hotel. Following breakfast and check-out, embark on a short cruise* across the lake to arrive in Titisee town. Enjoy your time and have a leisure walk along the main street Seestraße full of small cafes, souvenir shops with numerous variations of Cuckoo clocks and feel the coziness of a small quiet town. Return to the hotel by the boat and in the early afternoon, meet your private driver and in just one hour you arrive in Freiburg, also called the capital of the Black Forest. Upon arrival at the hotel meet your guide and start a 3-hour guided walking tour of Freiburg - a town with a unique culture. You visit Freiburg Minster - the cathedral which was one of few buildings in the city survived after WWII. Here you also witness a "praying devil" - one of the most recognizable symbols of the city. When strolling the streets pay attention to small water-filled runnels called "Bachle", being one of the city's most famous landmarks they lead you to the old town to Historical Merchant's Hall and Rathaus. During the tour, your guide takes you for tastings of local specialties. Here you get to know a German pizza - Flammkuchen with a classic filling of classic bacon, creme fraîche, and onion. You also taste region’s finest wines from the many enchanting wine villages. The final chord of the day is a dessert - the Black Forest Cake, but whether it is originally from the Black Forest or it is from another region, your guide unveils its legends. Following the tour, you return to the hotel for check-in and have the rest of the evening free. Please note: boat trips on Titisee lake operate from April 15 to October 30. This is the last day of your trip to the Black Forest region. Following breakfast and check-out you walk to the train station and board the train straight to Frankfurt airport. We wish you a safe flight and hope to work on your future trips! Set off on a day trip to the Black Forest, the scene of many fairytales by the Grimm Brothers.